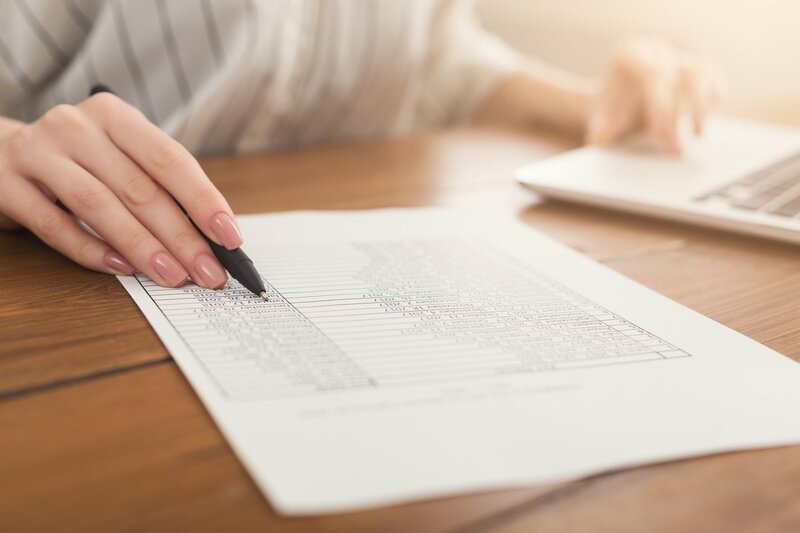 This letter outlines the NCUA’s primary areas of supervisory focus for 2019, and is intended to assist you in preparing for your next NCUA examination. Regarding the examination cycle and procedures to be employed, the extended exam cycle introduced in 2017 will be fully implemented in 2019.1 Consistent with 2018, agency examiners will continue using the streamlined small credit union exam program procedures for most credit unions that have assets under $50 million. For all other credit unions, examiners will conduct risk-focused examinations, concentrating on the areas of highest risk, new products and services, and compliance with federal regulations. In 2019, NCUA examiners will have increased flexibility to conduct suitable examination work offsite. In the agency’s Flexible Examination Program (FLEX) pilot, examiners were able to conduct as much as 35 percent of examination time offsite.2 The NCUA expects this increased flexibility will reduce the time impact on credit unions, save on travel costs and increase staff productivity. The following are the NCUA’s primary areas of supervisory focus for 2019. Examiners will perform more in-depth reviews of credit unions’ Bank Secrecy Act and anti-money laundering policies, procedures, and processes to assess compliance with regulatory requirements for customer due diligence and for identifying and verifying beneficial owner(s) of legal entity members. New Customer Due Diligence regulations for Financial Institutions (31 CFR 1010.230) became effective May 11, 2018. Examiners began assessing credit unions’ efforts to comply with the new regulations during the second half of 2018. For more information about this supervisory priority, see the NCUA Letter to Credit Unions 18-CU-02, Examination Guidance for Bank Secrecy Act Customer Due Diligence and Beneficial Ownership Compliance and the NCUA’s Bank Secrecy Act website. Examiners will have a continued focus on large concentrations of loan products and concentrations of specific risk characteristics. Concentration risk is defined as any single exposure or group of highly correlated exposures that have the potential to produce losses large enough to threaten a credit union’s health or ability to maintain its core operations. Excessive credit concentrations are a common cause of financial losses. If excessive levels of credit concentration risk are identified, examiners will work with credit union management to identify strategies to mitigate the risk. As in 2018, examiners will continue to perform limited reviews of Home Mortgage Disclosure Act (HMDA) quarterly Loan/Application Registers, or full-year Loan/Application Registers when applicable. The reviews will evaluate federal credit unions’ good faith efforts to comply with 2018 HMDA data collection and reporting requirements. These reviews will account for the statutory partial exemptions that took effect on May 24, 2018. You can find information on the changes in the Consumer Financial Protection Update 18-01, Information about the Bureau of Consumer Financial Protection’s 2018 HMDA Interpretive and Procedural Rule. The NCUA will continue to focus on Military Lending Act (MLA) compliance, and examiners will evaluate credit unions’ efforts to comply with the MLA. For more information on this supervisory focus, see NCUA Regulatory Alerts 16-RA-04, Guidance on Regulatory Changes Affecting Military Lenders and 16-RA-06, Department of Defense’s Interpretive Guidance on Military Lending Act Limitations on Terms of Consumer Credit Extended to Service Members and Dependents. Examiners will review credit unions’ compliance with Regulation B’s notification requirements following adverse action taken on consumer credit applications. They will also review overdraft policies and procedures for compliance with Regulation E. For additional consumer compliance tools and resources, visit the NCUA’s Consumer Compliance Regulatory Resources website. For more information about this topic, see NCUA Letter to Credit Unions 17-CU-05, Frequently Asked Questions on the New Accounting Standard on Financial Instruments – Credit Losses and NCUA Letter to Credit Unions 16-CU-13, Frequently Asked Questions on the New Accounting Standard on Financial Instruments – Credit Losses. Examiners will continue conducting information security maturity assessments with the Automated Cybersecurity Examination Toolbox (ACET). Examiners will use the ACET to assess credit unions with over $250 million in assets that have not previously received an assessment. The security, confidentiality, and integrity of credit union member information remains a key supervisory priority for the NCUA. Two additional areas of supervisory focus for 2019 are the assessment of credit union IT risk management to ensure it effectively identifies, remediates, and controls inherent risks to appropriate residual risk levels, and oversight of service provider arrangements to ensure credit unions implement effective risk-based supply chain management. These areas of focus were established as a result of historical examination analysis, emerging threat trends, and sample results of ACET maturity assessments to date. For more information, visit the NCUA’s Cybersecurity Resources website. An effective liquidity and interest rate risk management program is a key component of a credit union’s safety and soundness. The projected economic fluctuations in 2019 make this an increased area of emphasis. When rates rise, it puts pressure on credit unions to raise deposit rates in order to maintain deposit account volume. Also, enhanced mobile and internet banking applications and non-bank financial technology may result in greater challenges to retain low cost core deposits compared to prior interest rate cycles. Resources and guidance on interest rate and liquidity risk can be found in the online version of the NCUA’s Examiner’s Guide. If you have any questions about the agency’s supervisory priorities or 2019 examination program, please contact your NCUA regional office.